With hundreds of ready-to-eat cookies flooding our supermarket shelves these days, making choices on which brand to pick can be one of the trickiest decisions anyone could ever make. Thought this is exactly the reason why consumer manufacturers do a lot product sampling to help consumers decide what to buy with ease. In one of my lucky days in the past, I was privileged to meet one awesome lady who represents a global biscuit brand solely distributed by their company here in the Philippines. I’m talking about Ms. Lormy of Fly Ace Corporation who was so generous in handing me a packet of Lotus Biscoff Biscuits to try. Being a grocery constant, I’m quite abreast with what’s new and not on the shelves. I know this Belgian consumer brand has been around for some time, but it came lounging our local grocery shelves just recently. 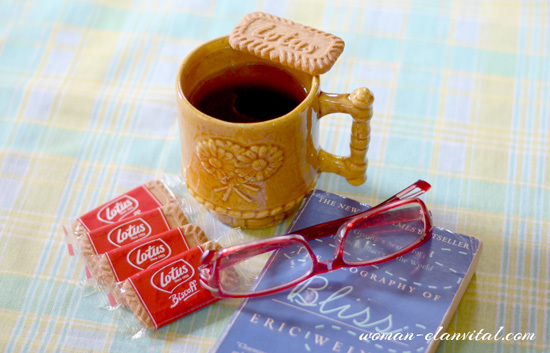 And so I went home happy with my pack of Lotus Biscoff Biscuits. This caramelized biscuits as a stand-alone snack is already such a delicious treat in itself, but it can get so boring whenever you do it over and over again. 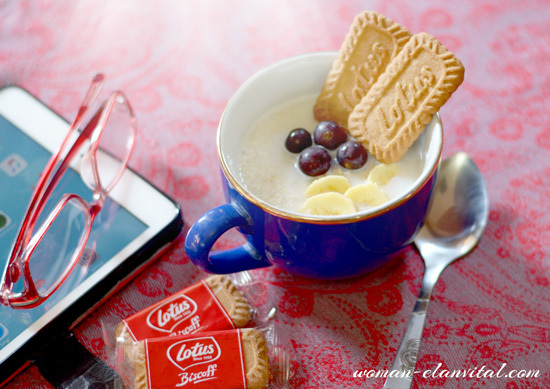 So for us not get bored with our Biscoff cookies, here are 5 of my delicious ideas on how to enjoy (y)our Lotus Biscoff Biscuits at home, delicious ideas that I tried and tested myself and now slowly becoming my food tradition. Each Biscuit is packed individually, something I really like – hygienic and deters spoilage. And each packet is stamped with a line ‘Every Coffee Needs a Lotus’, a packet wisdom I’m in agreement to without reservation. If you love your coffee black, this caramelized biscuit is the best match to enjoy it. It compliments the black coffee animosity needing no sugar anymore. 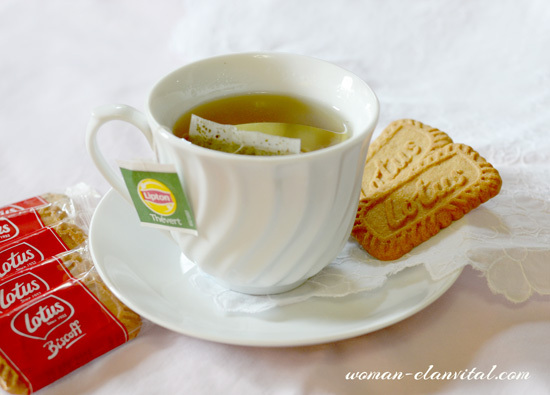 We Pinoys love dunking our biscuits in our coffee, Biscoff is just the perfect sweet piece to finish it. Biscoff is not just perfect for your coffee, it’s also a love match with whatever type of tea you desire. While coffee is our usual craze at boosting up power to start (y)our day, you’ll never know ‘till you try tea. If you decide to? Try it with Biscoff. Mine isn’t really some kind of a ceremonial high tea, just enjoying life's simple afternoon tea breaks with Biscoff biscuit on the side. Certainly, Biscoff and tea go well together. I’m a true fan of oatmeal, whether it’s slow-cook, instant, course, blended or whatever type. This is my early morning jumpstart. I normally just pick whatever fresh fruits that’s in my fridge and toss it in my bowl. It has always been like that until I discovered lately that dipping Biscoff in my oats make my boring fiber-bowl a lot better, sweeter. Try it too, you'll thank me for this! My morning fiber habit. iPad and oatmeal with fresh fruits and added Biscoff lately, so good! My kids aren’t really into cereal-morning food habit. They’re eating rice for energy's sake (so Pinoy, lol) but every once in a while they get to indulge on cereals too. I normally slice bananas and avocados to go with their cereal and milk. But when I got a pack of Biscoff from Ms. Lormy I tried tossing several biscuit chips in their bowls and guess what? They liked it, the next thing I know, the packet went empty and they kept asking for more. It must really be good! Mommies, try it at home too! My kids' new discovery, Biscoff and cereal. And they're loving it! I call it one of my life’s little guilty pleasures - eating ice cream. What’s not to love about ice cream? They’re mood booster especially when there’s pistachio and lots of pistachio on it. Ice creams are awesome as it is, but don’t you find it a bit boring just having it plain? - Vanilla, so they say. 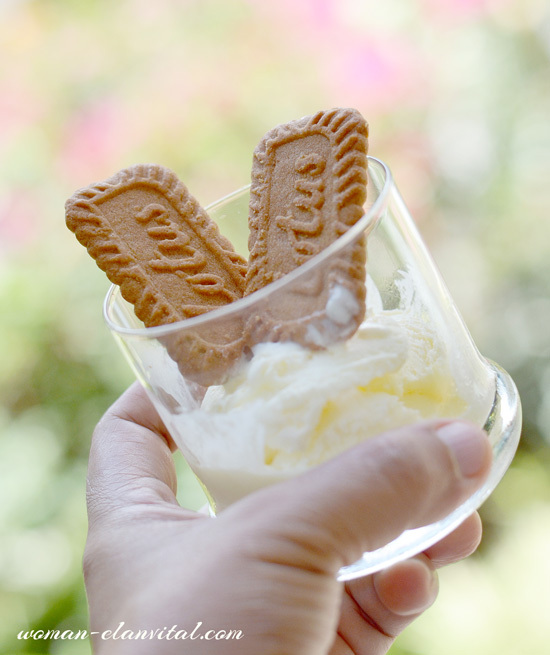 Well, you can try ice cream with a Lotus twist; let’s call it Biscoff a la Mode (sorry about the not-so a la mode presentation, lol). I truly love this, the cookie gives full texture to the plain vanilla and it matches with just any flavour perfectly fine. So love it! So there you go ladies, just five of the many delicious possibilities you can try with Lotus Biscoff Biscuits at home. 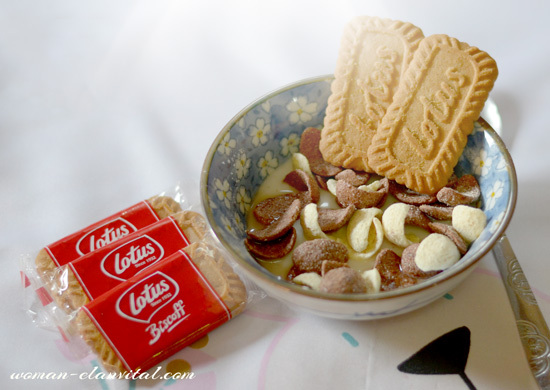 Lotus Biscoff Biscuits are available in all leading supermarkets nationwide. Grab a pack today! 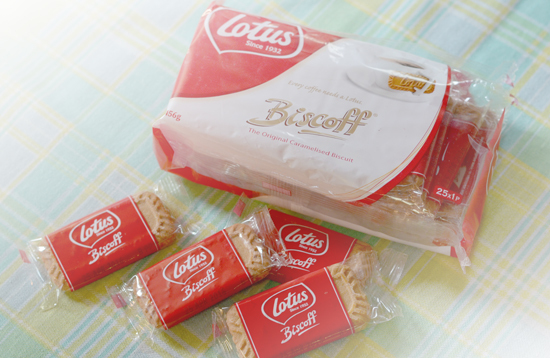 Or visit Lotus website http://www.lotusbakeries.com/ to know more about Lotus Biscoff Biscuit.